It has become important to consider energy-efficient optimization not only in a process design but also in the operations of manufacturing systems to promote sustainable and green manufacturing. This paper extends authors’ previous work to a more practical situation to demonstrate the applicability of the proposed framework of energy-efficient manufacturing operations based on a resource-constrained project scheduling problem (RCPSP). Both have varying resource requirements and multi processing modes, which can produce a suitable energy-load profiles for complete manufacturing systems. This study proposes a mathematical model for producing optimal energy-load profiles, and based on these profiles, each given operation is allocated to a machine tool with a specific processing mode. A processing mode refers to machining conditions for the corresponding operation, conditions that provide a predictive processing time and estimated electrical energy consumption. Through some cutting experiments on aluminum alloy performed on a three-axis machining center, we provide several possible processing modes for workpieces (operations), and we generate energy-load profiles by applying multi start local searches. We then discuss the applicability and capability of the energy-load profiles as an energy-aware production control. T. Samukawa and H. Suwa, “An Optimization of Energy-Efficiency in Machining Manufacturing Systems Based on a Framework of Multi-Mode RCPSP,” Int. J. Automation Technol., Vol.10, No.6, pp. 985-992, 2016. Y. Mizuno, Y. Kishita, S. Fukushige, and Y. Umeda, “Envisioning Sustainable Manufacturing Industries of Japan,” Int. J. of Automation Technology, Vol.8, No.5, pp. 634-643, 2014. M. Kachi, Y. Yoshimoto, H. Makita, N. Nozue, Y. Shida, S. Kitagami, and J. Sawamoto, “FEMS: Factory Energy Management System based on Production Information,” Proc. of the 2nd Int. Conf. on Integrated Systems and Management for Energy, Development, Environment and Health, pp. 41-46, 2012. Y. Kawamura, H. Horiguchi, and T. Ono, “A Framework for Optimal Planning Systems on the EMS Platform,” Fuji Electric J., Vol.86, No.3, pp. 197-201, 2013. J. J. Cárdenas, L. Romeral, A. Garcia, and F. Andrade, “Load Forecasting Framework of Electricity Consumptions for an Intelligent Energy Management System in the User-Side,” Expert Systems with Applications, Vol.39, pp. 5557-5565, 2011. J. R. Duflou, J. W. Sutherland, D. Dornfeld, C. Herrmann, J. Jeswiet, S. Kara, M. Hauschild, and K. Kellens, “Towards Energy and Resource Efficient Manufacturing – A Processes and Systems Approach,” CIRP Annals: Manufacturing Technology, Vol.61, No.2, pp. 587-609, 2012. Y. Okazaki, “Microfactories – A New Methodology for Sustainable Manufacturing –,” Int. J. of Automation Technology, Vol.4, No.2, pp. 82-87, 2010. Y. Kaneko, N. Suzuki, K. Kanahira, H. Wada, and M. Yamano, “Development of Ultra Slim Utility Type CNC Lathe Adapted to Automation – An Approach to Energy Conservation from Machine Shops –,” Int. J. of Automation Technology, Vol.4, No.2, pp. 138-149, 2010. 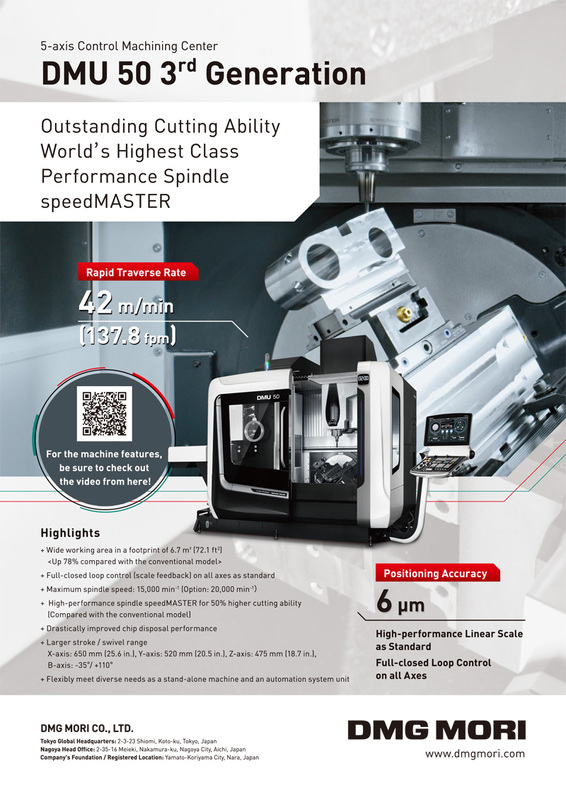 T. Ogawa, “Building of Efficient, Energy-Saving Lines with an Extremely-Compact Machining Center and CNC Lathe,” Int. J. of Automation Technology, Vol.4, No.2, pp. 150-154, 2010. M. Mori, M. Fujishima, Y. Inamasu, and Y. Oda, “A Study on Energy Efficiency Improvement for Machine Tools,” CIRP Annals – Manufacturing Technology, Vol.60, No.1, pp. 145-148, 2011. N. Uchiyama, T. Nakamura, and K. Yamazaki, “Reduction of Consumed Energy and Control Input Variance in Machine Tool Feed Drives by Contouring Control,” Int. J. of Automation Technology, Vol.3, No.4, pp. 401-407, 2009. N. Diaz, E. Redelsheimer, and D. Dornfeld, “Energy Consumption Characterization and Reduction Strategies for Milling Machine Tool Use,” Proc. of the 18th CIRP Int. Conf. on Life Cycle Engineering, pp. 263-267, 2011. B. Denkena, F. Flöter, and L. Hülsemeyer, “Energy-Efficient Machine Tools and Technologies,” The 15th Int. Machine Tool Engineers’ Conf., pp. 174-187, 2012. C. Hansen, J. Öltjen, D. Meike, and T. Ortmaier, “Enhanced Approach for Energy-Efficient Trajectory Generation of Industrial Robots,” Proc. of the 2012 IEEE Int. Conf. on Automation Science and Engineering, pp. 1-7, 2012. H. Suwa and T. Samukawa, “A New Framework of Energy-Efficient Manufacturing Systems Based on Energy Load Profiles,” Procedia CIRP, Vol.41, pp. 313-317, 2016. M. Fujishima, M. Mori, and Y. Oda, “Energy-efficient manufacturing on machine tools by machining process improvement,” Production Engineering, Vol.8, Issue 1, pp. 217-224, 2014. N. Weinert, S. Chiotellis, and G. Seliger, “Methodology for Planning and Operating Energy-Efficient Production Systems,” CIRP Annals – Manufacturing Technology, Vol.60, No.1, pp. 41-44, 2011. S. Rahimifard, Y. Seow, and T. Childs, “Minimising Embodied Product Energy to Support Energy Efficient Manufacturing,” CIRP Annals – Manufacturing Technology, Vol.59, No.1, pp. 25-28, 2010. F. Xu, W. Weng, and S. Fujimura, “Energy-Efficient Scheduling for Flexible Flow Shops by Using MIP,” IIE Annual Conf. Proc., pp. 1040-1048, 2014. K. Fang, N. Uhan, F. Zhao, and J. W. Sutherland, “A New Shop Scheduling Approach in Support of Sustainable Manufacturing,” Glocalized Solutions for Sustainability in Manufacturing, pp. 305-310, 2011. G. Mouzon and M. Yildirim, “A framework to minimise total energy consumption and total tardiness on a single machine,” Int. J. of Sustainable Engineering, Vol.1, No.2, pp. 105-116, 2008. A. A. G. Bruzzone, D. Anghinolfi, M. Paolucci, and F. Tonelli, “Energy-aware scheduling for improving manufacturing process sustainability: A mathematical model for flexible flow shops,” CIRP Annals – Manufacturing Technology, Vol.61, No.1, pp. 459-462, 2012. W. Li, A. Zein, S. Kara, and C. Herrmann, “An Investigation into Fixed Energy Consumption of Machine Tools,” Proc. of the 18th CIRP LCE Conf., Braunschweig, pp. 268-273, 2011. S. Hartmann and D. Briskorn, “A Survey of Variants and Extensions of the Resource-Constrained Project Scheduling Problem,” European J. of Operational Research, Vol.207, No.1, pp. 1-14, 2010.